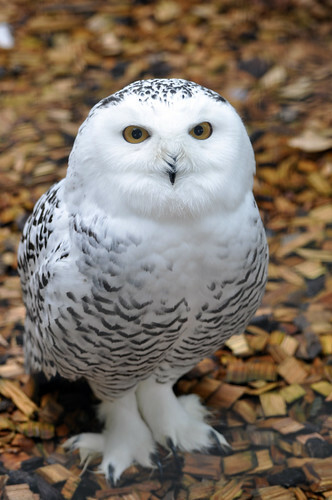 Oliver the Snowy Owl is the star of this week's Wildlife Wednesday post! He is very excited to share all kinds of fun animal facts about snowy owls today. Ready to learn some fun facts? 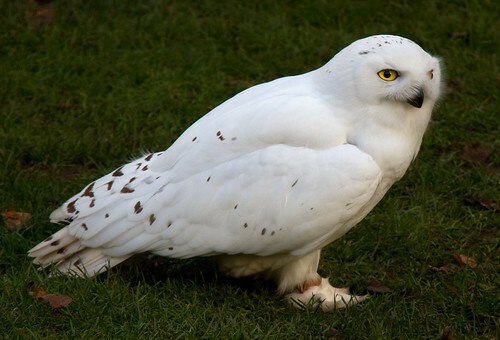 Snowy owls are also referred to as Great White Owls, Ghost Owls and Arctic owls. 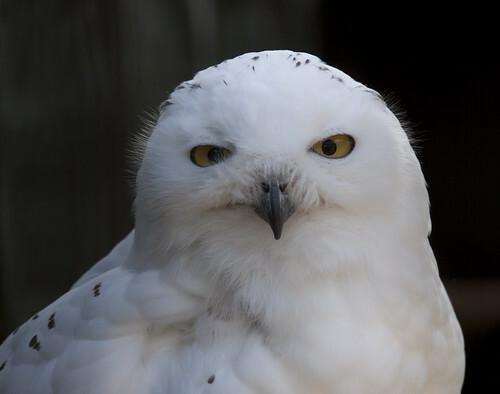 Snowy owls get whiter as they age, especially the males. Some males may become almost entirely white. Female snowy owls have more dark spotting in their feathers and never become almost entirely white. 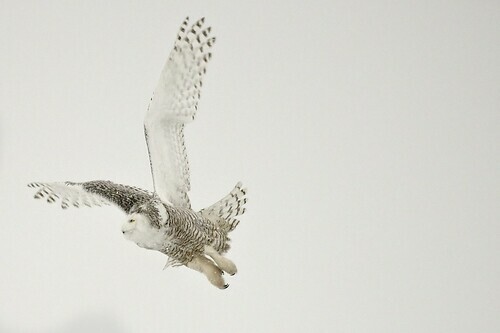 Snowy owls have an elaborate courtship process, including the male performing an aerial display, sometimes with a lemming in his beak or claws. 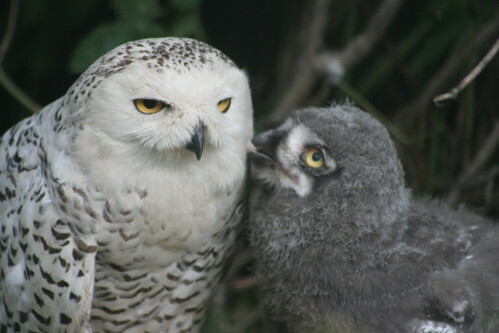 Snowy owls often mate for life. Snowy owls nest on the ground and fiercely defend their nests, even from wolves. Snowy owls lay 3-11 eggs. The amount of eggs they lay depends on the amount of food available. Eggs are laid about 2-5 days apart. Females are solely in charge of incubating the eggs, while the males hunt for food. Baby snowy owls can fly at about 50 days old. 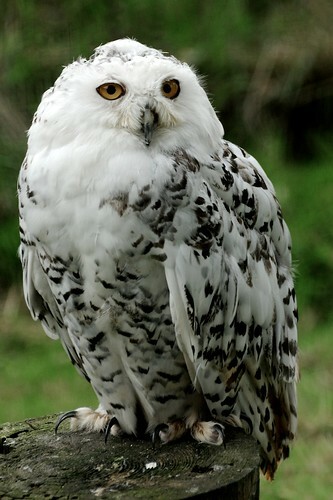 Snowy owls are mostly silent, except during breeding season. 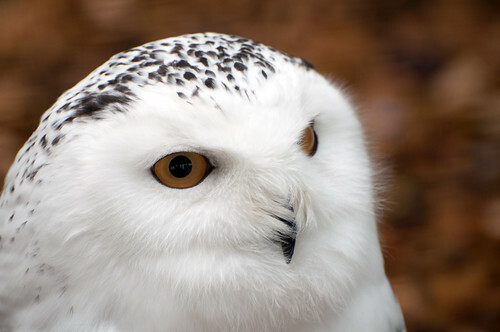 Snowy owls have excellent vision and hearing. Snowy owl like to live in wide open spaces. They rarely venture into forests. Most owls are nocturnal but snowy owls are diurnal, active both day and night. They do the majority of the their hunting in daylight. The favorite food of the snowy owl is the lemming. They can eat over 1600 lemmings in one year. They also eat other birds, fish, rodents and rabbits. They can swallow lemmings whole. 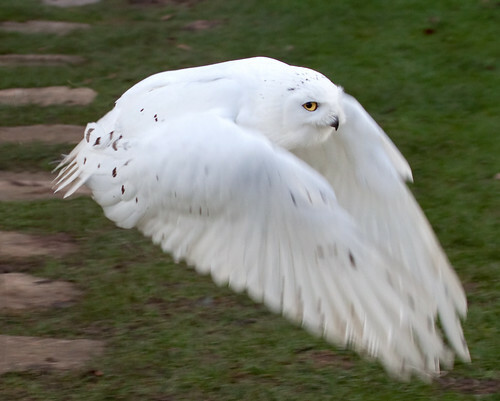 Snowy owls hunt in flight, on the ground or from water. Snowy owls move around a lot and their migrations are very unpredictable. The availability of food seems to determine how far they migrate. Snowy owls live further North than any other North American Owls. Snowy owls have thick feathers, even on their toes and claws. They are the heaviest owl in North America, weighing in about 4 pounds. That is about a pound heavier than the Great Horned Owl.